Is number 9 Dave Sutton possibly ? Black West Ham player Clive Best ? I thought George Foster and Brian Johnson although thought GF was slighter later years ? The hair does look like George Foster. Thought he nomally played #5 though. Guess he may have played as a striker in the reserves. In the days when we had a proper reserve team playing in the Combination League. I have to admit that I thought the one in the background was Mariner so I checked GOS and Mariner played at Herford the day before and scored. No idea who they are now. I reckon our guy in the background is Jimmy Hinch. George Foster did start as a #9 before moving back to CB. I think Dave Sutton was always a defender. I'll go with Clyde Best too. Was replaced by Mariner and left during the 73-74 season according to his G0S profile. All I can remember is the home game vs Fulham (Boxing Day?) 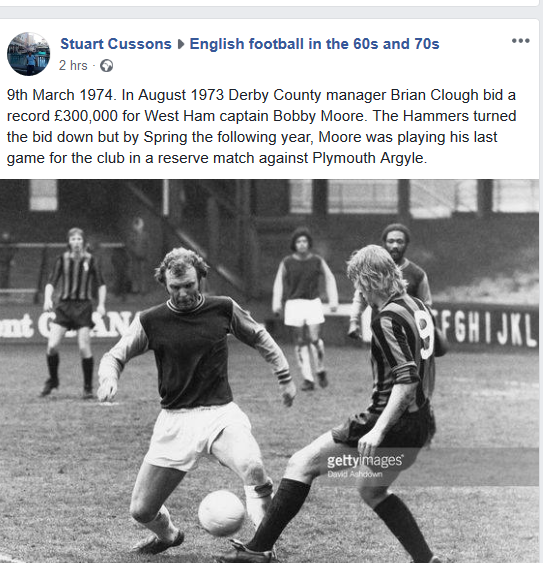 when Mariner was up against Bobby Moore and in the first half ran Bobby ragged to the point that Moore was subbed at HT. 4-0? 19?? Clyde Best - who will be 68 in a couple of weeks.